If printer is not assigned, modifier follows the parent item assigned printer settings. 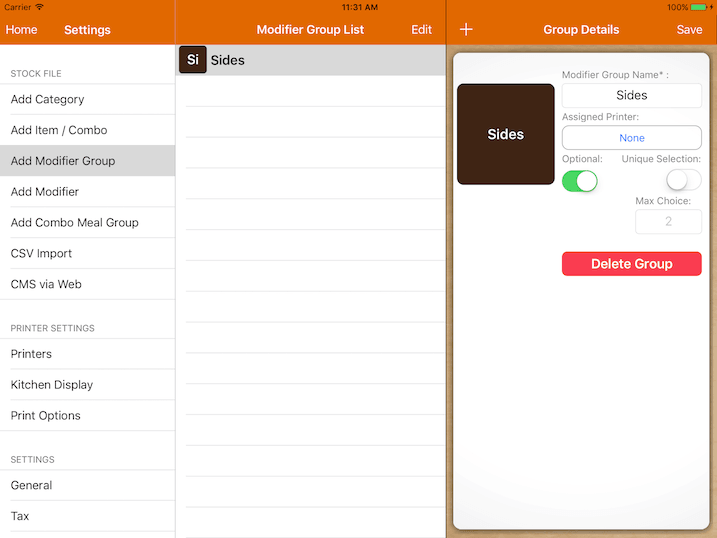 You could set the modifier group to be compulsory or optional. By default, modifier quantity can be changed. Turn on when choice of modifier must be unique under the group. Limiting the choices for the modifier group. Default will be unlimited.